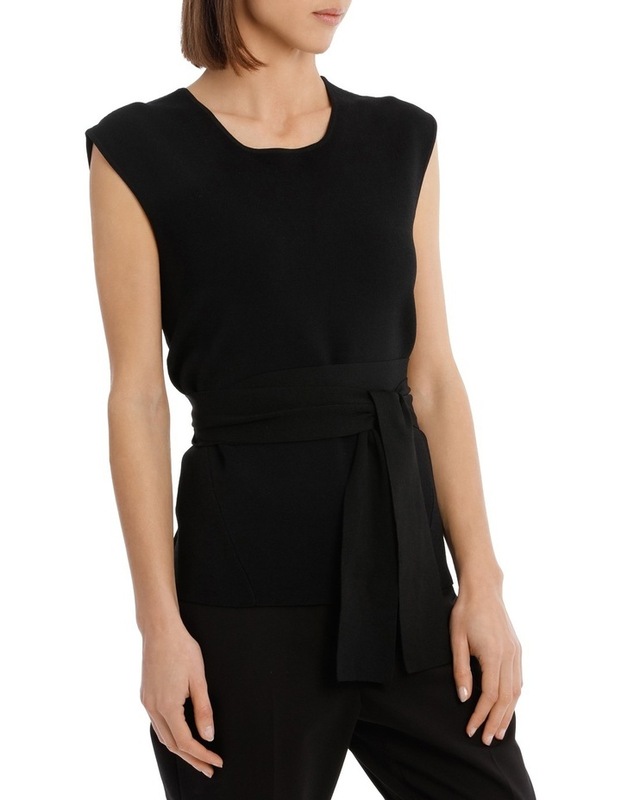 The Amity Knit Top by fwrd the label is a wardrobe staple. 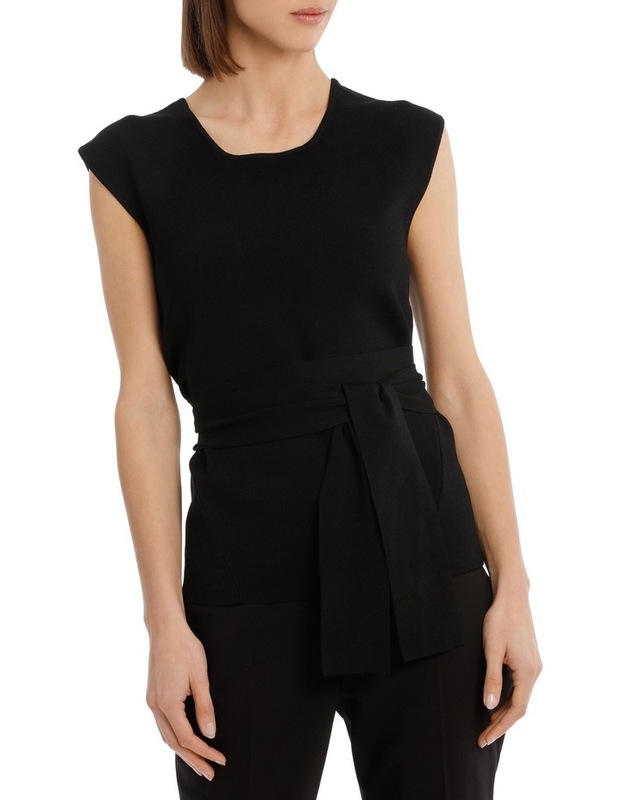 Featuring a round neckline, this sleeveless style has angular splice detail along with a removable self-tie. 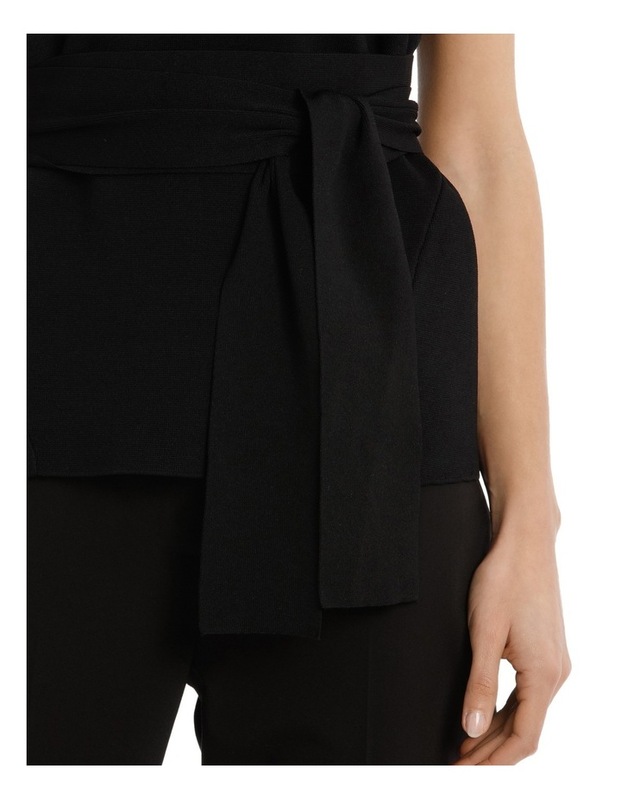 Pair with the tali skirt for a polished look.